Beltaine is a handicraft #chestnut and #spelt beer produced in Granaglione, near Bologna in the Appennini, in a micro-brewery where both the fermentation and maturation tanks and the bottling system can be seen. The micro-brewery allows a production of 400 litres of must per cycle, thus permitting an annual brewing of around 60,000 bottles. 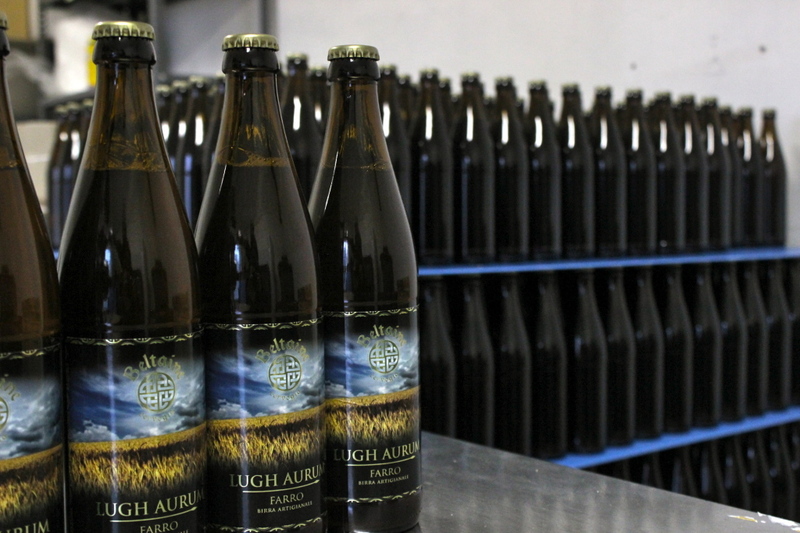 Beltaine beer is produced using only the finest ingredients and is obtained through the process of high fermentation and then re-fermentation in the bottle. The production of the chest-nut beer Beltaine wants to is part of an ampler project: rediscovery of the cultural values connected with the growing of chestnut trees and at the re-launching of a source of income that allowed the local population to remain on the high-hillside and mountain territory. The name Beltaine is derived from the important Celtic spring festival, which was celebrated on May 1″ to mark the beginning of the springtime and the rebirth of nature. Literally translated from Gaelic, Beltaine means “Bell’s fires”, since the celebration was held in honour of Bell, the god of fire and light. Fire symbolized earth returning to life and fertility and was the sign of the ever-changing cosmic energy, responsible of the never-ending transformations of things: Beltaine, then celebrated the idea of regeneration. It was just among the regenerating bonfires, lit using different types of wood to purify the soil and improve its fertility, that the Celts used to lead the cattle to cleanse it from any illness generated during the long winter, spent inside, and to protect it for the rest of the year. Granaglione was on the limit of the Celtic settlements on the Bolognese Apennines and the typical Celtic drink was beer, whose Gaelic name was Cervogia., from which are derived the Spanish Certteza and the Portuguese Cerveia. 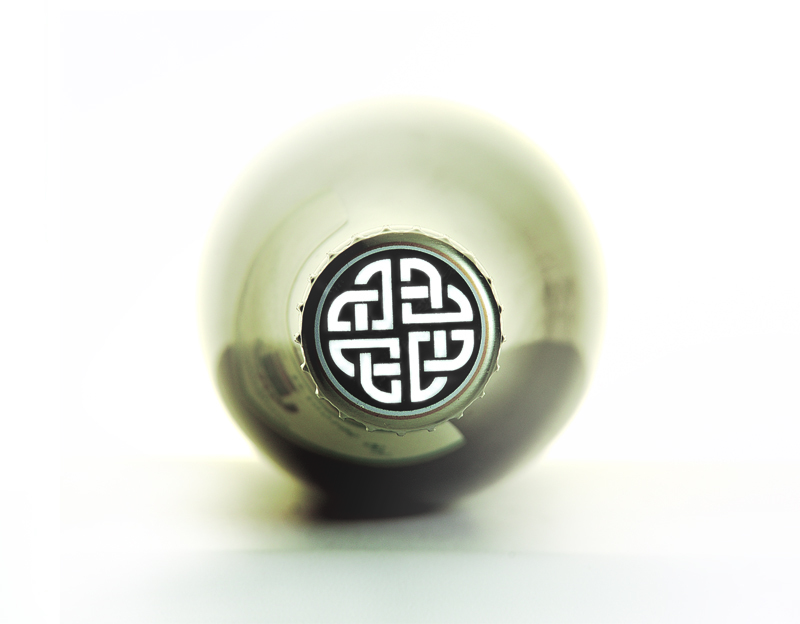 The “Lover’s knot’ is one of the Celtic knots, uninterrupted lines that derive from the ornamental and decorative Celtic tradition. They generally represented the continuity of life, the never-ending cycle of life and death, day and night. ; for the Celts, life did not have a beginning and an end (in fact, we don’t find any legend about the creation of the world in Celtic mythology), but went on continually (death was then merely the energy leaving its shape to move elsewhere), and the interLacements represented this very flow of the divine energy along different shapes. 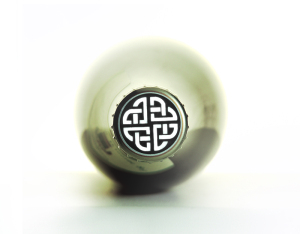 The symbol of the “Lover’s knot” reproduced on the label is made up of a continuous line, which represents fidelity, eternity and unity_ The external circle symbolizes the sun, while the drawing inside is made up of four clovers, one for every season, each one representing the three forces of nature: earth, air and water.